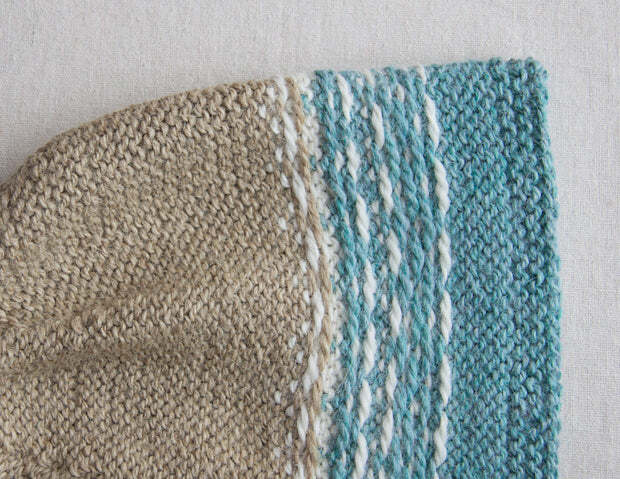 Stranded color knitting (often called Fair Isle knitting, although to be precise, while Fair Isle color knitting is stranded, not all stranded color knitting is Fair Isle) is gorgeous to look at, but takes a little practice to master. I'm no master color knitter, but I have figured out what works for me. Stick to two colours per row. If you're new to colour knitting, avoid colours that have a lot of contrast. A dark yarn combined with white, for example, can be challenging. 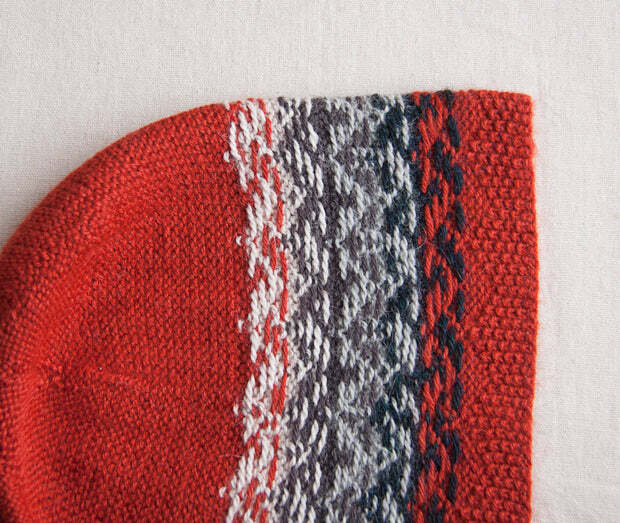 The dark yarn will tend to show through the white stitches. Start with a medium-weight yarn with lots of body. A worsted weight wool (or other animal fibre, like this baby alpaca from Mirasol) is ideal. Avoid smooth or slippery yarns. They will make it harder to maintain even tension, and will makes mistakes more visible. Choose needles on the smaller end of the recommended range for your yarn. Loose stitches will allow the floats on the wrong side to show through. Choose a motif with a small repeat. This will mean that you don't have to anchor the yarn strands at the back of the work, you can just let them float. Longer repeats mean that you have to anchor the long floats, and this is one of the trickier parts of stranded color work. Try using a hand for each colour. Not only is this faster, but it ensures that one colour is floated above the other. This will yield a neater wrong side, and also help maintain a consistent tension for each colour. Stay loose and keep the stitches on your righthand needle spread out. This will help ensure that the floats are long enough. Depending on the thickness of your yarn, don't make your floats span more than a scant inch. Long floats on the wrong side will catch on things. Interested in Fair Isle? I highly recommend Mary Jane Mucklestone's 200 Fair Isle Motifs. Inspiring, educational and fun.